Due to the 7 month break between seasons, games in week 1 of the NFL tend to be subjected to even more analysis and overreaction than the opening weekend of the English football year. If you read the reviews of last weekend’s action, you would be convinced that Green Bay are a spent force who will struggle to make the playoffs, while the 49ers are Superbowl bound; the Saints have no chance of coping with Sean Payton’s season-long absence; Robert Griffin III is set to redefine the quarterback position; and Peyton Manning’s neck has never been better, with him returning to his 2005 form. However, one fixture does not make a trend for any of these teams – for example, in their opening game of 2011, the Redskins beat the soon-to-be champion New York Giants 28-14 – so for this week’s predictions I am going to try to avoid any overreaction to last weekend’s action and stick to my pre-season views on most of the teams. Green Bay’s defense was the worst in the league last year and that form continued last week against San Francisco in the Packers 30-22 loss. After scoring 41 points against the Colts in their opener, and with Chicago QB, Jay Cutler, targeting Brandon Marshall repeatedly in Week 1, the Bears could well shred Green Bay’s secondary and put the 2011 Superbowl Champions in a 0-2 hole to start the season. Yes, Buffalo was awful in their 48-28 defeat at the Meadowlands against the Jets last week, but Ryan Fitzpatrick – who has thrown 12 interceptions in his last 5 games – lead the Bills to a 41-7 victory over the Chiefs in 2011. Kansas City do have their Pro Bowl linebacker, Tamba Hali, returning for this matchup; but could still be without the injured Kendrick Lewis, Brandon Flowers and Anthony Toribio in their defense for the trip to Buffalo. The Chiefs also gave up 40 points last week (versus Atlanta) and if this comes down to a shootout, I would back Fitzpatrick over Matt Cassel (just). Neither team from Ohio looked good in their opening encounters of the season, though Cincinnati did face a strong Ravens side (who I predicted to win it all this year). Cleveland were slightly unlucky to lose to the Eagles last Sunday succumbing only to a last-minute touchdown, after a game-winning interception was dropped by linebacker, LJ Ford. Nevertheless, the only scoring their offense managed was three field goals and their 28 year-old rookie QB, Brandon Weeden, threw four interceptions in his first start. The Bengals won both matchups last year and should be able to secure another victory against their cross-state rival this weekend. Andrew Luck’s first game went badly enough to suggest that the Colts might be in the running for the number one draft pick again this year, but they were facing a very strong Bears team. Minnesota did start the year with a win and, perhaps more importantly, appear to have a fully fit Adrian Peterson back in top form. However, they week 1 overtime victory was against the Jacksonville Jaguars and they still have Christian Ponder at quarterback. It’s a coin flip as to which way I was going to pick this, but I’ll bet on Luck in his home debut to secure Indianapolis their first win of the year, 13 weeks earlier than they managed in 2011. The Raiders lost their Monday night game in San Diego against the Chargers because of their special teams – specifically, three botched punts which occurred because of an injury to their long snapper, Joe Condo, in the second quarter. Fill-in, Travis Goethel failed to get the ball to the punter accurately and efficiently, gifting the San Diego offense a great starting position and three short field goals. Oakland’s offense gained more yards than the Chargers’, but they did not record a touchdown until the final minute of the game. Despite all of their woes, should the Raiders just go for it on every fourth down – or find somebody who can accurately throw a ball through their legs to a punter – they should not have any issues dealing with the Dolphins, who might be the worst team in the league this year. Miami’s 30-10 loss to Houston may have been expected, but their rookie quarterback Ryan Tannehill had a debut to forget – throwing three interceptions and generating just three points on offense. Arizona recorded a victory in their opening game of the season, at home against Seattle, thanks to their backup QB, Kevin Kolb, who entered the game in the fourth quarter and completed 6 of 8 pass attempts, for 66 yards and the winning touchdown. Kolb only played because of an injury to starter, John Skelton, but he is likely to begin this weekend against New England. The Patriots looked impressive in their first game, but the first test of their newly stocked defense will not be until the following Sunday’s matchup against Baltimore, when they will face a good quarterback, not one named Locker, Kolb or Skelton. Injuries to the Giants’ secondary were a crucial reason why they became the first reigning Superbowl champions (out of nine) to lose the midweek kickoff game, against the Cowboys last Wednesday. But while Dallas were able to hold off New York’s dominant pass rush long enough for Tony Romo to exploit the weaknesses downfield, Josh Freeman may not be afforded such a luxury by the Tampa Bay offensive-line. In previous seasons under Tom Coughlin, this would be exactly the sort of fixture that the Giants would lose – before going on to record unexpected road victories. But after their opening defeat they will be fired up to get one in the win column and, despite their success against the Panthers, the Buccaneers are not likely to be good enough to stop them. Yes they are on the road against a star-studded Philadelphia team, but I would take Baltimore in this fixture even if they were giving the 2.5 points. Joe Flacco was allowed to operate in an expansive offensive against the Bengals on Monday night and racked up 44 points and two touchdown passes. By comparison, Michael Vick threw four interceptions – which would have been five except for a drop – and only registered 17 points in Cleveland. Perhaps the Eagles’ “dream team” will come good at some point this season, but I do not expect them to be able to beat a superior Ravens side. This might be one game when I am putting a major emphasis on what happened in week 1, rather than my overall feelings about the teams. Robert Griffin III led the Redskins to 40 points in New Orleans and gave evidence that the loss of Sean Payton will be felt most by the Saints defense rather than the offense, who still have Drew Brees leading them. Like RG3, Cam Newton is another quick, young quarterback who can use his feet as well his arm to beat teams and he will pose a real threat to the Saints, who could drop to 0-2 for the first time since the 2007 season (when they started 0-4). Jacksonville played well in their loss to Minnesota last Sunday, going down in overtime, but seeing their second-year QB, Blaine Gabbert, have his best start in the NFL. Nevertheless, that performance was against the Vikings and their divisional rivals, Houston, will be a much tougher proposition. The Jaguars held teams to under 20 points in 5 of their 8 home games last year – suggesting 7.5 would be a lot of points for the Texans to give – but Matt Schaub looked comfortable on his return from injury and he also just signed a long-term contract with Houston, to extinguish any doubts over his future. 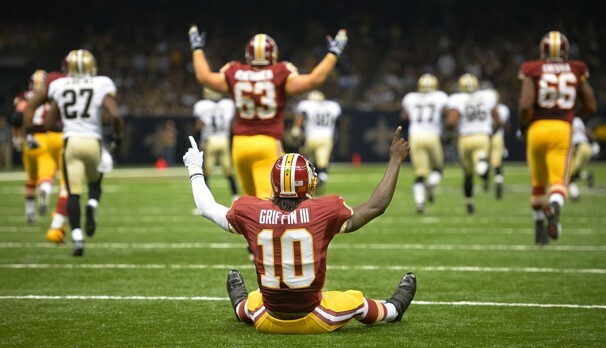 The win over New Orleans has propelled RG3 and Washington to the top of the NFL talking points this week, the perfect time for the Redskins to have a let down in a game they are expected to win. St. Louis played the Lions close in Detroit last Sunday and, if Sam Bradford can avoid making any mistakes again, the defense should give him a good shot of winning this game. There will come a time – very soon – when I have confidence in Griffin and the Redskins on the road, but I am not jumping on the bandwagon after a single victory. Another matchup that I would be making the opposite pick if I was focusing solely on the week 1 games. Dallas went into New York (well Jersey) and beat the reigning champion Giants, while Seattle lost in Arizona to a poor Cardinals side. However, the Seahawks are a different side at home, where they registered a 7-1 record last season. Dallas could well be a legitimate title contender (and indeed, I had them making it to New Orleans in my preview), but the win over a depleted Giants secondary is not evidence enough for me to pick them this weekend. Having said that, Seattle will require a better outing from Bill Simmons‘ new favourite quarterback, Russell Wilson, than the display he gave against Arizona in week one. Pittsburgh lost away to the Broncos last Sunday and also ended their season in Denver last year against Tim Tebow, who is now on the New York Jets. The Steelers only lost one home game in 2011 – against the Ravens – but face a Jets team who will be full of confidence after scoring 48 against Buffalo in week 1. Mark Sanchez finally looked like a franchise quarterback in that game and Tebow added another dimension to their offense when he was included in plays. Nevertheless, Pittsburgh will be a tough game for New York and they will need to perform as well as they did against the Bills if they are to have any chance of beating the Steelers. This looks like being the easiest pick of the week: San Diego may not have been at their best in their win over Oakland on Monday night, but they should not have any issues dealing with rookie Jake Locker and the Tennessee Titans. It might just be too easy and I am missing something, but I would take the Chargers if they were giving a dozen points, not just six and a half. to the manner in which his San Francisco counterpart, Jim Harbaugh, had shaken his hand. A complete irrelevance, yet that has been the focus of many of the previews of this game (including this one, sorry). 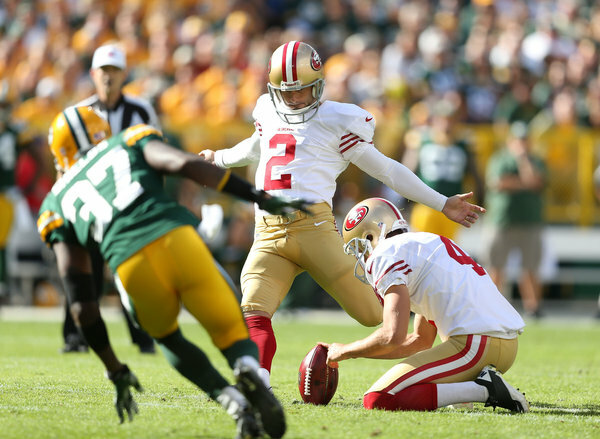 The 49ers were impressive in their win against the Packers last week and their defense can shut down games when they get a lead – something they achieve often when their kicker, David Akers, can make 63 yard field goal attempts. The Lions did get off to a winning start, but their opposition was St. Louis and Matthew Stafford kept the Rams close by throwing three interceptions. Sunday night’s game in San Francisco see them face much tougher opposition and Harbaugh has instilled lots of confidence in the 49ers since he took over last year. Never bet against Peyton Manning in a Monday night game? How about if he has only played once since having four neck surgeries, has an average Denver team around him, and is playing in Atlanta, against a Falcons team that scored 40 points in Kansas City to start their season? Matt Ryan has a fantastic record as a starter in the regular season and now he has another deep threat – in the form of wide receiver Julio Jones – he looks to be even more of a threat. Obviously, if Manning is at his best, then he could well lead the Broncos to victory – I’m still guessing he is not.